There used to be a time in Canada when adultery was essentially the only acceptable grounds for divorce under the law. Then, in 1968, Canada passed its first federal Divorce Act, which did a number of things. 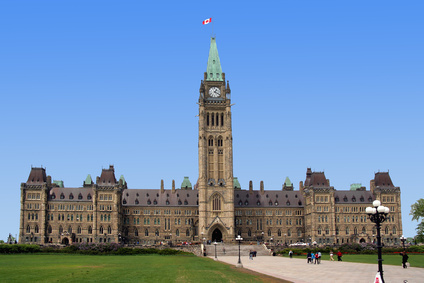 First, the 1968 Divorce Act created one uniform set of divorce rules across Canada. Prior to 1968, as is the case with much of Canadian law, it was left to the provinces to determine which specific laws applied to its population. This jurisdictional reality should always be kept in mind when studying any Canadian laws. For example, even though Canada has a national health act, which ensures all Canadians essentially receive free health care, it’s up to the provinces to determine how this is done, and how the rules are specifically applied. Similarly, laws pertaining to health and safety, commerce and, yes, family law and divorce, all fall under provincial jurisdiction, even though a federal law may apply. Regarding family law and divorce, it always helps to know what specific laws apply to your province of residence, even if federal legislation exists on the matter. Another accomplishment of the Canada’s 1968 Divorce Act was to broaden the grounds for divorce to include factors other than divorce, including cruelty, as well as three years of separation. In 1986, Canada passed another Divorce Act, which limited the period of required separation to one year. As a result, what we essentially have in Canada is no-fault divorce. In other words, the only grounds for divorce that the courts need for the enactment of divorce is evidence of marriage breakdown. Such evidence can come in three forms: 1) The married couple has been living apart for at least one year; 2) The spouse has been physically or mentally cruel; 3) The spouse has committed adultery. So, even though adultery is still considered grounds for divorce, it’s certainly no longer the only grounds. In general, Canada’s divorce laws have become more liberalized over the years, which in part reflects the country’s broader culture. Divorce has become easier to obtain, regardless of what one thinks of its morality. Legally, it’s the reality that exists today.